I've been meaning to post this for a while now, but keep forgetting to take pictures. 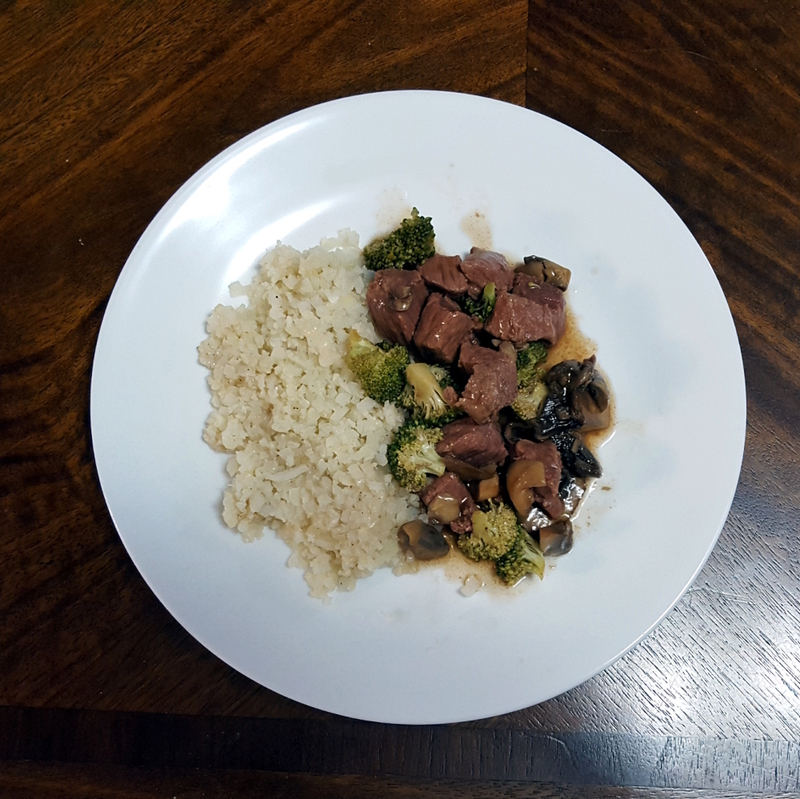 I've been eating low-carb for about a year now and feel better than I have in years. Here's an almost week's worth of dinners - almost because we're surely eating out tomorrow night, but if I get a photo, I'll add it. 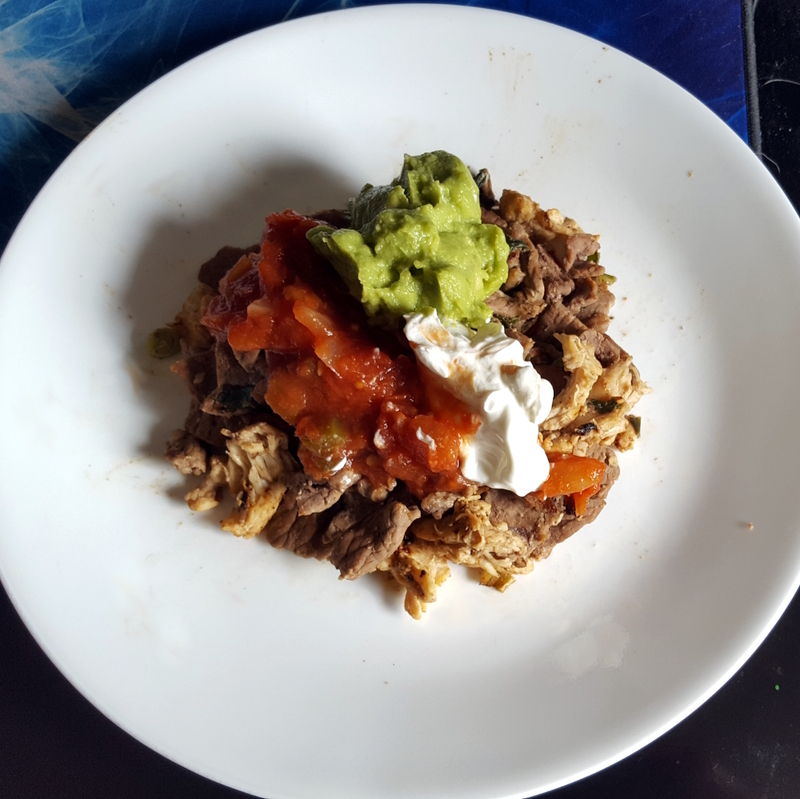 All the fixings for an awesome fajita, without the shell; seasoned beef and chicken, peppers, onions, salsa, guacamole, and some sour cream. 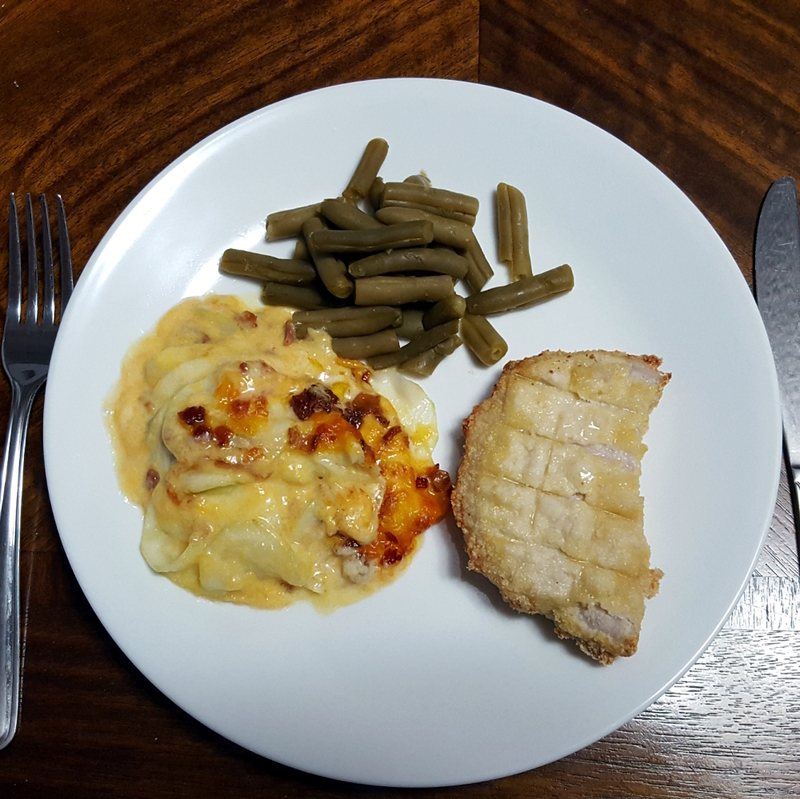 Parmesan crusted pork chop, green beans, and zucchini gratin. 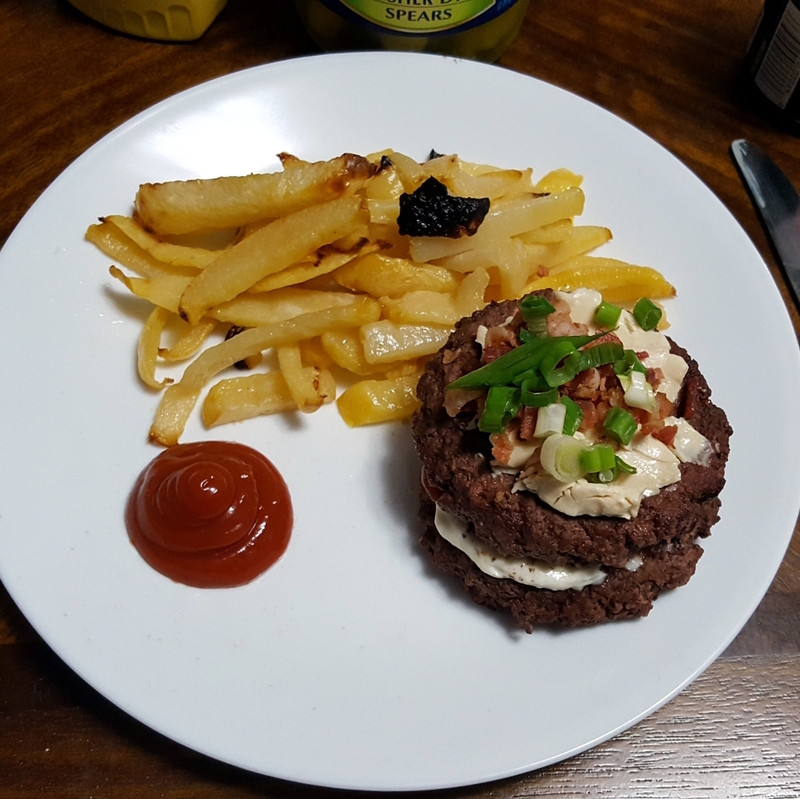 Angus beef burger with jalapeno pepper jack cheese, bacon bits, and green onions, with rutabaga fries and low-sugar ketchup. 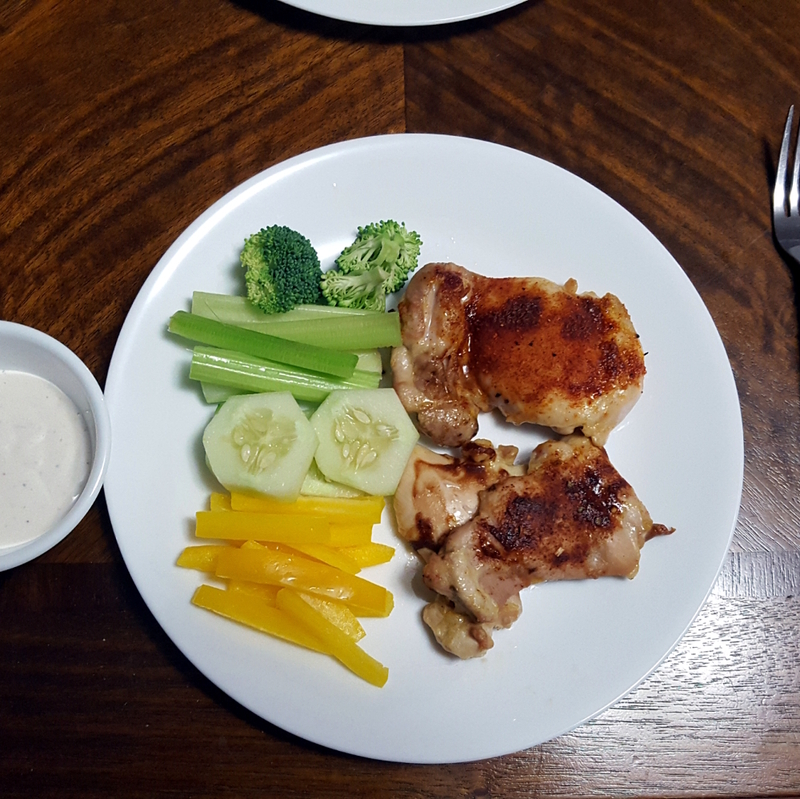 Chicken thighs with a low-sugar BBQ dry-rub and fresh raw veggies with ranch dip. Pizza night! I only made it through slightly more than one of those slices. 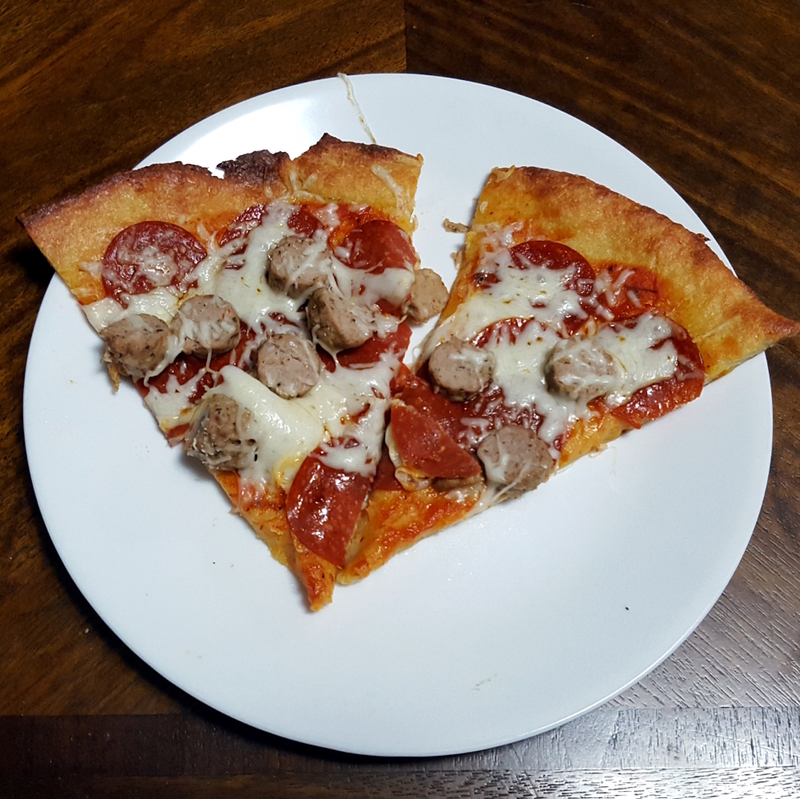 Low carb pizza is super filling.